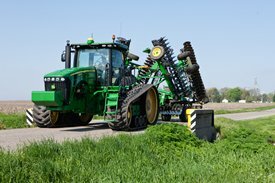 Five widths from 26'5" to 40'8"
John Deere's 2623VT comes equipped on 185-mm (7.25-in.) 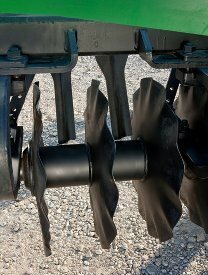 spacing with solid shallow concavity spherical blades on the front gang and solid shallow concavity wavy blades on rear gang to size residue and mix soil. A majority of the sizing is going to be done by the front gang and the rear gang is going to do the mixing. 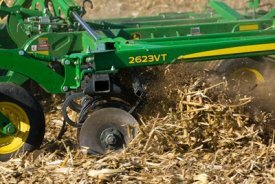 John Deere designed its vertical tillage tool to chop stalks to an acceptable size and begin soil mixing for breakdown, yet leave a considerable amount of residue on the cover. 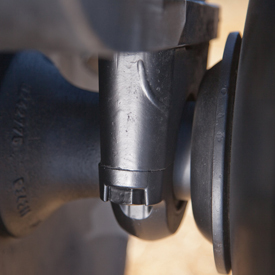 The 2623VT comes equipped with 185-mm (7.25-in.) spacing on the front and rear gang. Both blade sizes on front and rear gang are 560 mm x 5 mm (22 in. x 0.197 in.). Optional 560-mm x 6.5-mm (22-in. x 0.256-in.) blades are available on front gang only. Whether the plan is to use the 2623VT in the spring or fall, this machine was designed to handle any residue management situation. 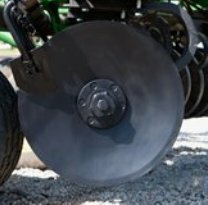 With a 21-degree angle on the front gang and 19-degree gang angle on the rear, this tool was created to have the aggressive sizing and chopping ability in tough residue in the fall and to have the finishing characteristics to build an ideal seedbed in the spring. 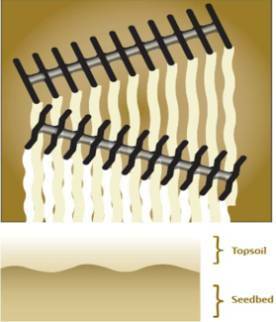 Shallow gang angle vertical tillage tools can leave a wavy, washboard effect unsuitable for a proper seedbed. 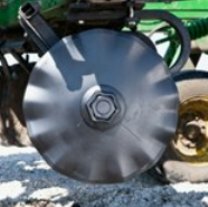 The 2623VT implement has an aggressive gang angle to help anchor residue, manage weeds and root balls, and create an even, smooth seedbed under the topsoil. As crop yields increase, so does the amount of residue after harvest. The John Deere 2623VT allows customers to prepare soil for planting in the spring and residue management in the fall. Utilize the residue calculator to identity the optimal residue management solution to meet the customer’s needs. The John Deere 2623VT offers six different sizes to fit any size operation, big or small. 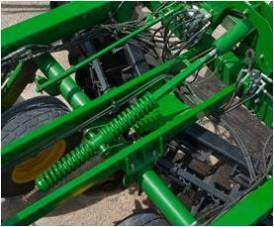 John Deere's 2623VT Vertical Tillage tool provides an innovative approach to tension gang bolts. 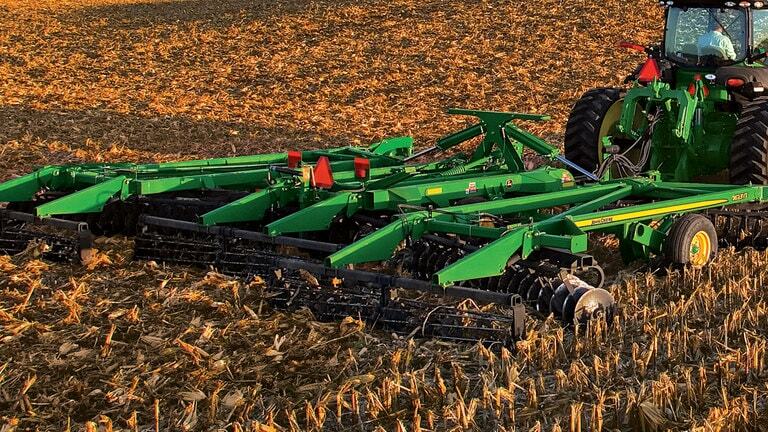 John Deere’s 2623VT Vertical Tillage tool features a sealed maintenance-free bearing. 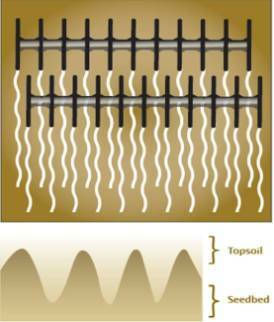 A high-density polymer liner allows the bearing to dynamically align the shaft in rough field conditions. 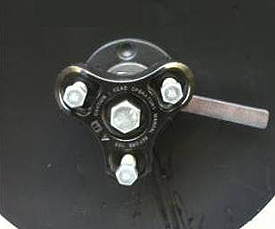 The bearing and high-density polymer liner sit inside a cast housing. 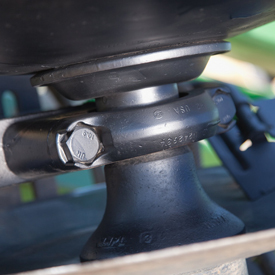 This cast housing was designed for strength and reliability as well as a built-in bearing wear guard. 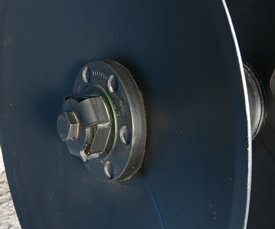 These new bearings increase productivity by reducing the amount of time needed to service the tool before operation and allowing customers to spend more time in the field. 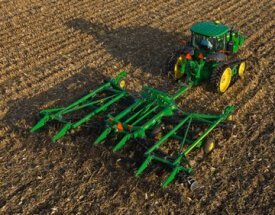 Hydraulic fore-aft leveling comes as standard equipment with John Deere's 2623VT Vertical Tillage tool. Operators can level the machine from the comfort of the tractor cab. Solid shallow concavity spherical, 22 x 0.197 in. Solid shallow concavity 13 wave, 22 x 0.197 in. *Flat bar is not recommended for rocky soil conditions.